Police Minister Bheki Cele has appointed Victor Senna as the new Acting Head of the Independent Police Investigative Directorate (IPID ) with immediate effect. This comes amid legal moves by former boss, Robert McBride and others to contest the decision by the Police Portfolio Committee in Parliament to back Cele’s decision not to renew McBride’s contract. McBride had received high praise in some quarters for his pursuit of top cops for alleged corruption. Senna currently holds the position of the Chief Financial Officer at IPID. McBride wants the decision of Parliament’s Portfolio Committee on Police to be declared unlawful, invalid and set aside. He has lodged an urgent application in the High Court in Pretoria to review the committee’s decision not to renew his contract as the executive director of the Independent Police Investigative Directorate. McBride has called on the committee to furnish the registrar of the court with all the records relating to its decision not to renew his contract. 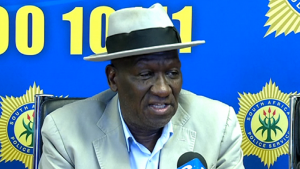 The matter ended before the committee after a settlement agreement was reached two weeks ago in legal proceedings that McBride had instituted against Police Minister Bheki Cele after he decided not to renew McBride’s contract. The matter is in court. African National Congress and the National Freedom Party Member of Parliament who are represented on the committee cited his poor working relationship with with Cele, allegations against McBride which went as far as the Public Service Commission. The Democratic Alliance has distanced itself from the committee decision. Those very same allegations are now with the Public Protector which she of course has to investigate. McBride says it a witch-hunt. He also says that it is definitely politicking; he’s now no longer good enough for the ANC. Meanwhile, the Institute for Security Studies Expert Johan Burger says the contractual dispute comes at a critical time for IPID. Burgers’ reaction follows a decision by Parliament’s Portfolio Committee on Police to decide against McBride’s contract being renewed. Dr Burger says the dispute has the potential to affect the probing of some high profile police corruption cases. The post Victor Senna appointed new acting IPID head appeared first on SABC News – Breaking news, special reports, world, business, sport coverage of all South African current events. Africa's news leader..